Andrew Blowers, in his book The Legacy of Nuclear Power, analyzes four nuclear legacy areas as being “peripheral,” a category with four characteristics: (1) geographically remote, (2) economically needy, (3) non-conforming and powerless politically (somewhat unaware), and (4) socially homogeneous. Although Blowers didn’t include Yucca Mountain in Nevada in his four peripheral sites, it qualifies. 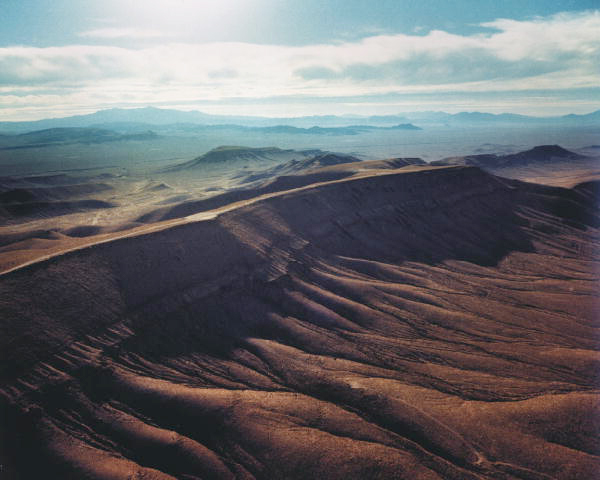 The choice of Yucca Mountain for the geologic disposal of U.S. nuclear waste started with forcing it into peripherality—declaring it an arid, empty wasteland. That the Western Shoshone Indians owned the land, lived well on it and had farms, sheep and plenty of water (from knowing where to look) was immaterial to the legislative power that rammed it through without considering at least seven other possibilities. for a High Level Radioactive Waste (HLRW) dump ever since, including easing up on the requirements. Senator Harry Reid mounted a successful campaign to kill the Yucca Mountain dump, but now he has left Congress. Donald Trump’s administration is in power, and the four criteria for peripheral communities have been forced upon the Shoshone. (1) Their sheep herds, in the wisdom of the U.S. Agriculture Department, were declared too large and were slaughtered. That’s how the population became economically needy—even hungry. (2) Of course the Indians were oppressed from the beginning so they fulfilled the requirement of being politically powerless. (3) And they were culturally homogeneous—having lived in the Southern Nevada/Southeastern California desert for generations. (4) Geographically remote? Most white people think so. Yet the Southwest Indians did not stop resisting U.S. government power over their sacred mountain turned into a contaminated, dirty water nuclear dump. To become involved go to www.NIRS.org, click on campaigns and choose “Don’t Waste America,” where you will find an ongoing list of possibilities. In Europe anti-nuclear organizations are active in every country. Canada, also, has ongoing information in conjunction with U.S. activists, particularly in the Great Lakes Basin. In Illinois, the U.S. state presently harboring more nuclear waste than any other, you can access the Nuclear Energy Information Service at neis.org. This entry was posted in Articles and tagged Andrew Blowers, Donald Trump, Harry Reid, high-level nuclear waste, high-level radioactive waste (HLRW), HLRW, January, NIRS, Nuclear Information and Resource Service, Shoshone Indians, The Legacy of Nuclear Power, Yucca Mountain. Bookmark the permalink.